Propagation Nutrients, Additives & boosters - Future Garden Hydroponics. Plants in propagation are very young and fragile. You can propagate your germinated seeds in a similar way to cuttings. Seeds will have genetic variety between genetically similar plants, so there will be a range of traits in your population. 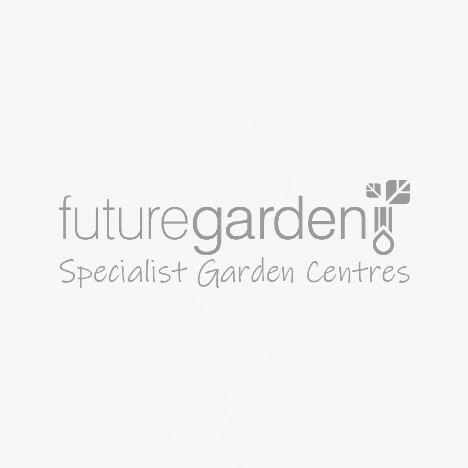 Growers often select their favourite cultivar to propagate into identical future generations. Propagation works well with annual varieties while other species can be harder to clone. Best success rates can be gained by following the proper procedure. For more info on Propagation Nutrients & boosters and how to use them in your indoor garden, read our buyers guide below. During propagation, the grower’s focus should be on producing abundant, healthy white roots. Maintain a mildly warm temperature of between 22 - 26 degrees and a high humidity between 70 - 90% for the highest success rates. We stock a range of products that can help the plant produce roots during this time. Once your roots are established you can reduce the humidity to ‘harden’ them off. Once you’ve dropped the humidity to about 50% and the plants show no signs of drought, they have successfully transitioned into the vegetative stage so you can move on to vegetative nutrients and a stronger light source. Cloning gels seals the wound on cuttings, preventing embolisms - where an air bubble passes up the cut stem killing the new plant. Cloning gels also contain hormones, enzymes and auxins that promote root growth for faster rooting than without the use of gels. Gels are essential to maximise your success rate when taking cuttings. Propagation Additives and Boosters describe products that contain active ingredients to promote the rooting of plants. These can be enzymes, hormones or auxins that are naturally occurring compounds which interact with plants to regulate their internal processes and growth. While additives for propagation are not essential, they can really help in terms of speed and health of the produced roots. Some types of beneficial organism have been shown in side-by-side tests to be as good as cloning gels at rooting cuttings, without the inclusion of hormones that regulate plant growth as found in some cloning gels.Instead, microorganisms are able to synthesize enzymes at low levels that stimulate root growth in a natural way so your produce will still be organic. In the same way babies need baby food - Young plants have different requirements to established ones. Grow nutrients can often be too strong in nitrogen for many young plants, and some micronutrients essential for rooting young plants may be lacking or in the wrong ratios. We recommend using propagation nutrients from your chosen range of nutrients to get the best results. Maintaining a high humidity while your cuttings are rooting will increase your success rate by reducing the amount of fluids the young plant has to transport for transpiration. We stock a range of propagation sprays that can increase humidity and supply essential nutrition via the leaves, helping propagating plants to grow more roots quicker. Throughout the entire lifecycle of the plant, you should maintain an oscillating wet and dry cycle but this wet and dry cycle is important for plants in propagation too, as during the dry periods, the plant is encouraged to send out roots to look for moisture. During the wet periods, the plant is bathed in all the nutrients it requires for profuse growth. Try to open the vents on your propagator as soon as possible to allow the evaporated water out of the environment, which will promote the medium to dry out. Don’t let your substrate get too dry before re-wetting it as young plants can't cope with extended periods of drought. Don’t mix nutrients or additives from the same type as the combined effect of similar products may overdose the plant from a particular ingredient. If you're new to hydroponics, consider purchasing your nutrient line-up from the same brand as that will ensure the products will work well together. If you’ve got more questions about Propagation Nutrients, additives & boosters get in touch with our specialist team on 0800 085 7995 or email us as we can advise you on the benefits of Propagation Nutrients & boosters and help you use them in your indoor garden.